Monarch Air Group provides private air charter in Bakersfield, CA. Our clients benefit from top-notch service, unrelenting dedication to safety, wide selection of aircraft, and years of experience in chartering private jets. To obtain a free quote, please use our online quoting tool provided below, or call toll free 1-877-281-3051. 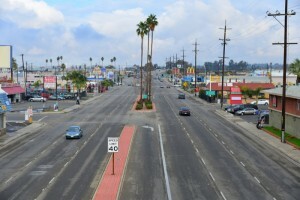 The city in the southern Central Valley of California, Bakersfield, is located about 100 miles north of the Los Angeles. Bakersfield is the home to the genre of country music world-known as the Bakersfield Sound. The city is also the county seat for Kern County, the third largest county in California by landmass, which produces 76 percent of oil supply of the state. There are plenty of oldest fine restaurants including Basque eateries. Many events and festivals such as Whiskey Flat, Bakersfield Jazz Festival, Kern County Fair, Bakersfield Business Conference, and others are held each year in Bakersfield. Tourists can also enjoy environs in the Southern Sierra Nevada Mountains, fishing, rafting, and hiking on the nearby Kern River. 2. CRO, Corcoran, Corcoran, United States. 3. IYK, Kern County, Inyokern, United States. 4. MHV, Kern County, Mojave, United States. 5. MIT, Kern County, Shafter, United States. 6. PTV, Porterville, Porterville, United States. 7. TLR, Mefford Field, Tulare, CA, United States. 8. TSP, Kern County, Tehachapi, CA, United States. 9. VIS, Visalia, Visalia, United States. 10. WJF, William J Fox, Lancaster, United States. 1. Noriega Restaurant & Hotel, 525 Sumner St, Bakersfield. 2. Holiday Inn Express Hotel Bakersfield, 3001 Buck Owens Boulevard, Bakersfield. 3. Studio 6 Bakersfield, 6141 Knudsen Drive, Bakersfield. 4. The Padre Hotel, 1702 18th Street, Bakersfield. 5. Hotel Rosedale, 2400 Camino Del Rio Court, Bakersfield. 6. Noriega Restaurant & Hotel, 525 Sumner St, Bakersfield. 7. Holiday Inn Express Hotel Bakersfield, 3001 Buck Owens Boulevard, Bakersfield. 8. Studio 6 Bakersfield, 6141 Knudsen Drive, Bakersfield. 9. The Padre Hotel, 1702 18th Street, Bakersfield. 10. The Padre Hotel, 1702 18th Street, Bakersfield.